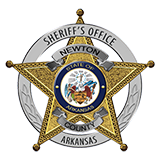 The United States Marshal’s Service recently contacted the Newton County Sheriff’s Office in reference to a wanted fugitive they believed was hiding in Newton County. Investigations revealed that Jeremy Alan Asbill, aged 27 of South Carolina had been in contact with various residents of Newton County and had been here within the last few days. Asbill, along with a second person, Christopher Fuller, was allegedly involved in a stabbing in Columbia, South Carolina on October 13 of this year. The victim of the attack lived, but suffered serious injuries. Both suspects were charged with Attempted Murder and Breach of Peace of a High and Aggravated Nature. Fuller had previously been arrested, but Asbill was still at large and was acquainted with a female resident that had recently moved into the area from South Carolina. Thirty Four Law Enforcement Officers from the Newton County Sheriff’s Office, U.S. Marshals Service, Jasper Police Department, the 14th Judicial District Drug Task Force, Boone County Sheriff’s Office, Arkansas State Police, Arkansas Highway Police, National Park Service, U.S. Forest Service, The Arkansas Game & Fish Commission and the Arkansas National Guard’s Counter Drug Aviation Unit simultaneously arrived at seven different locations and nine other locations following the initial wave in an attempt to locate Asbill. Asbill was not located, but Deputies recovered some of his clothing and other belongings and brought one female in for questioning that garnered additional information and intelligence that should prove helpful in apprehending the violent fugitive. It is believed that Asbill became fearful of apprehension in Newton County and fled the area, possibly heading back toward South Carolina.